If you are active military, or former military, the VA mortgage loans are one of the best benefits given to you for your service. You do not have to put any money down to qualify for a VA Home Mortgage Loan for up to $417,000. If the seller agrees to pay the closing costs, you may be able to purchase the home with no out of pocket cost. The loan and sales contract can be set up so that the VA Home Mortgage Loan cover 100% of the selling price and the seller covers the closing cost. The Veterans Administration assesses a Funding Fee to all VA loans between .5% and 3.3% of the loan amount. The fee is added into the amount of the loan to be paid over the life of your VA home mortgage loan. The VA Funding Fee replaces the much higher priced Mortgage Insurance required when you get a conventional home loan. If you are a Disabled Veteran, you may qualify to get the fee waived completely. VA loans are also assumable. If the person assuming the mortgage is a veteran with VA eligibility, the original veteran will not be giving up the amount of eligibility that they used to get the loan a the beginning. Veterans should use great care and closely investigate the terms of an assumption before allowing someone to assume their mortgage. It is too great a benefit to give up. The VA offers excellent qualifying standards. Even if you have experienced some financial difficulties in your life that caused your scores to be lower, but have maintained a good payment record over the past year or so, you may qualify for a VA mortgage loan. We lend with scores as low as 640. This can be a tremendous savings compared to the cost of conventional loans when the borrower's credit scores are low. Looking to lower the monthly payment on your existing VA Loan? The VA offers a streamline refinance program known as an IRRRL Loan. VA mortgage loans have built in features allowing a loan to be refinanced to a lower interest rate without all of the criteria normally associated with a conventional loan. With this Interest Rate Reduction Refinance Loan, the veteran can secure a lower interest rate with less paperwork, and maybe even without an appraisal. 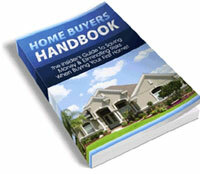 Closing costs of the transaction can be rolled into the loan, so there are no out of pocket costs. Learn more about the VA streamline refinance here.